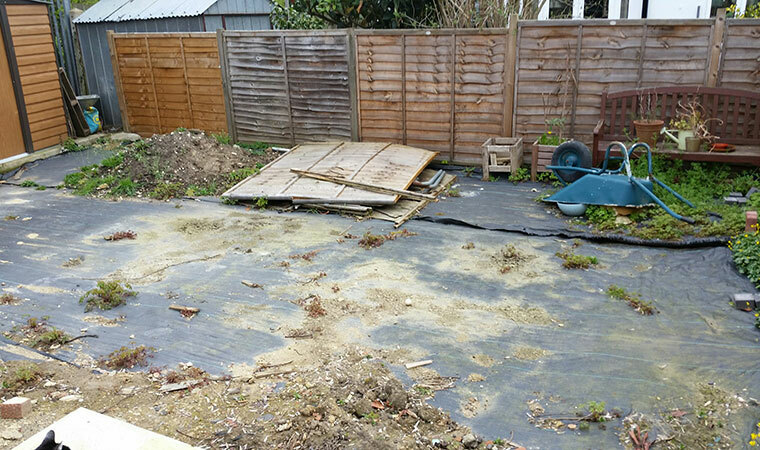 This once pretty back garden in Addiscombe, London had been left unattended for many years. As a result it had become overgrown with weeds and was pretty much out of bounds for the owners. The wish was to get the garden restored to its former glory for as little money as possible. We spoke to the owners to come up with a plan. To reduce costs the owners cleared the garden themselves leaving us a blank canvas on which we could install the artificial grass. We installed our usual high end groundworks. 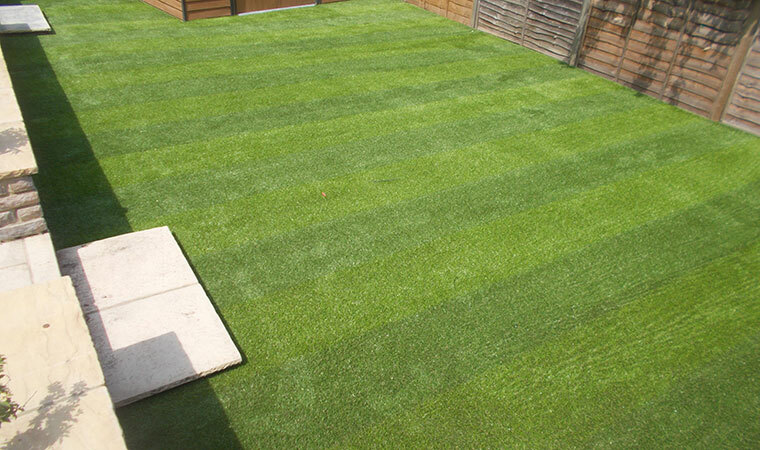 It is never worth scrimping on groundworks if you want your artificial grass lawn to look great for many years. We then installed the Square artificial grass for its prenounced striping. What started off as un unsightly mess now looked like a back garden the owners could be proud of. Bring on the summer!